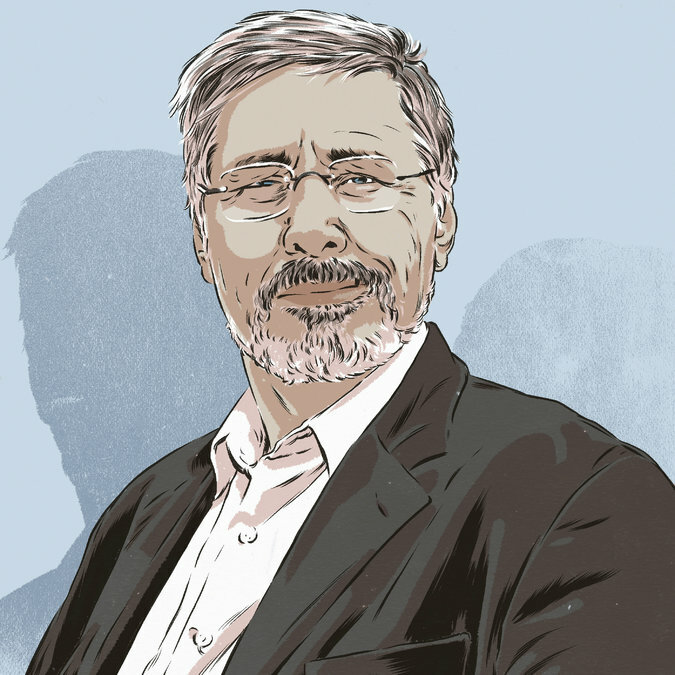 Bessel van der Kolk is a Boston-based psychiatrist noted for his research in the area of post-traumatic stress since the 1970s. His work focuses on the interaction of attachment, neurobiology, and developmental aspects of trauma’s effects on people. Bruce H. Lipton, Ph.D. is an internationally recognized leader in bridging science and spirit. Stem cell biologist, bestselling author of The Biology of Belief and recipient of the 2009 Goi Peace Award, he has been a guest speaker on hundreds of TV and radio shows, as well as keynote presenter for national and international conferences. Antonio Damasio's research in neuroscience has shown that emotions play a central role in social cognition and decision-making. His work has had a major influence on current understanding of the neural systems, which underlie memory, language, consciousness. Barbara Marx Hubbard has been called “the voice for conscious evolution of our time” by Deepak Chopra and is the subject of Neale Donald Walsh’s book “The Mother of Invention.” Barbara is a prolific author of 9 books, a visionary social innovator and educator, and is also the co-founder and co-chair of The Foundation for Conscious Evolution and president of Evolutionary Academy. Dr. Arnold Mindell is in private practice in Portland, Oregon. He is known for his development of the “Dreambody” and “Process Work”. He is the author of 23 books in over 35 languages, including Dreambody, The Shaman’s Body, Quantum Mind, Quantum Mind and Healing, and The Deep Democracy of Open Forums. Trauma is a fact of life. Veterans and their families deal with the painful aftermath of combat; one in five Americans has been molested; one in four grew up with alcoholics; one in three couples have engaged in physical violence. In The Body Keeps the Score, Dr. Bessel van der Kolk uses recent scientific advances to show how trauma literally reshapes both body and brain, compromising sufferers’ capacities for pleasure, engagement, self-control, and trust. He explores innovative treatments—from neurofeedback and meditation to sports, drama, and yoga—that offer new paths to recovery by activating the brain’s natural neuroplasticity. Based on Dr. van der Kolk’s own research and that of other leading specialists, The Body Keeps the Score exposes the tremendous power of our relationships both to hurt and to heal—and offers new hope for reclaiming lives. A renowned and revered scientist and clinician, Damasio has spent decades following amnesiacs down hospital corridors, waiting for comatose patients to awaken, and devising ingenious research using PET scans to piece together the great puzzle of consciousness. In his bestselling Descartes' Error, Damasio revealed the critical importance of emotion in the making of reason. Building on this foundation, he now shows how consciousness is created. Consciousness is the feeling of what happens-our mind noticing the body's reaction to the world and responding to that experience. Without our bodies there can be no consciousness, which is at heart a mechanism for survival that engages body, emotion, and mind in the glorious spiral of human life. A hymn to the possibilities of human existence, a magnificent work of ingenious science, a gorgeously written book, The Feeling of What Happens is already being hailed as a classic. For millennia, woman have been without a strong leadership voice in human affairs. No more! Women are now in positions of power in every branch of government, business, and social organization. They are providing a new style of collaborative and visionary leadership, which is changing the way society functions. Goddess Shift: Women Leading for a Change is an anthology that celebrates these values. It includes chapters by women leaders in diverse fields of human endeavor. Unbinding the Soul provides a simple model of healing, drawn from Jungian Psychology, Tibetan Buddhism and neuroscience. Using the author's story of profound loss, it shows how wisdom and compassion can transform crisis into an opportunity for deep personal development, self-awakening and a celebration of the human spirit. From the author of Dreambody - a pioneering method of using crisis as a dynamic opportunity for accessing our inner world, confronting our fears, and catalyzing self-discovery. An established classic in its field, Ken Dychtwald's Bodymind has been updated in this latest edition to reflect the author's ongoing exploration of the vital body and mind connection. Integrating ancient Eastern knowledge with the pioneering contemporary work of Wilheim Reich, Moshe Feldenkrais, Fritz Perls, and with his own intuitive observations, Dychtwald presents a comprehensive study on the body and mind relationship in an analytic yet highly readable style. Rolfing by Ida P. Rolf, Ph.D. This seminal work made its debut in 1977, and it has since remained the most important reference for Rolfers around the world. In this new edition, the late Dr. Rolf illustrates her theory and practice of Structural Integration, which brings the body into alignment and balance by manipulation of the connective tissue. Rolfing has helped thousands of people to stand taller, look better, move with greater ease, and have a greater sense of vitality and well-being. This is the original and classic text, with more than 600 illustrations and photographs. An indispensible reference for the hundreds of Rolfers in this country, it will also appeal to other professional bodyworkers and the interested lay person. With her typically lucid, strong, and poetic language, Miller investigates the personal stories and case histories of various self-destructive and/or violent individuals to expand on her theories about the long-term affects of abusive child-rearing. Her conclusions―on what sort of parenting can create a drug addict, or a murderer, or a Hitler―offer much insight, and make a good deal of sense, while also straying far from psychoanalytic dogma about human nature, which Miller vehemently rejects. This important study paints a shocking picture of the violent world―indeed, of the ever-more-violent world―that each generation helps to create when traditional upbringing, with its hidden cruelty, is perpetuated. The book also presents readers with useful solutions in this regard―namely, to resensitize the victimized child who has been trapped within the adult, and to unlock the emotional life that has been frozen in repression. Bioenergetics by Alexander Lowen, M.D. Bioenergetics is the revolutionary new therapy that uses the language of the body to heal the problems of the mind. This exciting body-mind approach to personality has a liberating and positive effect on emotional, physical, and psychic distress. Dr. Alexander Lowen, founder and prime mover of this fast-growing therapy, writes that increased joy and pleasure are possible in every day life through an understanding of how your body functions energetically: how it determines what you feel, think, and do. Dr. Lowen points out that lack of energy is the result of chronic muscular tensions, a condition caused by the suppression of feelings. These tensions can be dissolved through the direct body work in bioenergetic exercise, which restores the potential for living a rich, full life. Dr. Lowen analyzes common physical ailments like headaches and lower back pain and shows how they too can be overcome by releasing the muscular tenstion that create them. Generously illustrated with line drawings of bioenergetic exercises, this book is sure to bring freedom, confidence, and pleasure to thousands of men and women. The bible of cesarean prevention. Wall Street Journal A landmark event, which will change the course of obstetric care by giving parents the informtion they need to make the decisions that are best for their own families. Comprehensive, highly readable, sensitive . . . should be read by everyone who cares about someone. Birth Without Violence by Frederick Leboyer, M.D. Internationally renowned family consultant Kim John Payne helps parents reclaim for their children the space and freedom that all kids need, allowing their children's attention to focus and their individuality to flourish. Publishers Weekly,Waldorf educator and consultant Payne teams up with writer Ross to pre-sent an antidote for children who are overscheduled and overwhelmed by too much information and a fast-paced consumer culture that threatens the pace and playful essence of childhood. Beyond the Rainbow Bridge is an award-winning book that belongs on the nightstand of every parent with young children! Full of everyday wisdom for busy parents, this treasure of a book is for all caregivers who value imaginative play, the necessity of daily routine, and the benefits of creative discipline. Co-authors Barbara J. Patterson and Pamela Bradley offer realistic suggestions for creating a healthy family life that can be can incorporated into any lifestyle.